Products include: Distilled soya fatty acid, distilled sunflower fatty acid, Vegetable oil fatty acid, Rice bran fatty acid, Distilled coconut fatty acid etc. 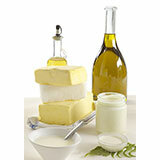 Distilled fatty acids from various vegetable oils such as rice bran oil , soya oil , sunflower oil, palm oil, coconut oil, etc. These are mainly used in lubricants, fatty acid esters, textiles, paints etc. Products include: Palmitic, Stearic,Lauric, Oleic, Erucic or combinations of these fractions etc. * products tailored to customer specifications can be supplied Packaging in 50 kgs net content (flakes or prills, in Laminated hdpe bags) . Fractionated Fatty acids are derived from various vegetable oils such as palm oil, rice bran, soya , coconut oil, palm kernel etc. and their fractions using fractional technologies. 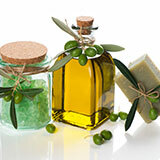 Main applications are in Cosmetics, soaps, cutting oil, textiles, greases,Animal feed etc. Hydrogenated RBD palm stearin is white solid wax, with stable chemical properties. 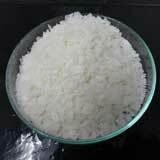 It can be used in making stearate, Food Emulsifiers, soap, polish cream and candles. Customer demands as per specified etc. Tailor made stearic acid can be supplied Packing in 50 kgs in HDPE bags or as required by customer. Produced from vegetable oil derivatives as PFAD, Palm stearine, etc using splitting and distillation process. Main applications are Rubber industry, textile, pvc pipes, cosmetics, confectionery, soaps, candles etc.